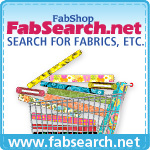 Block of the Month Programs Fabric Patterns Kits Fun Stuff Notions and Tools SALE! Welcome to ConnectTheBlocks.com -- we're glad you're here! 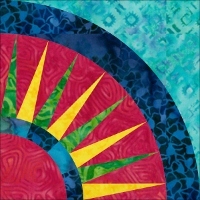 We're your 24-7 connection to quilting supplies, home of the 40" yard, specializing in premium quilt-shop quality cotton fabrics, always below standard retail prices. We offer first-quality genuine batik fabrics along with patterns designed to feature the beauty and individuality of batiks. We have fun kits for fast projects, pre-cuts, and Blocks of the Month. We're expanding our brights & blenders selections all the time, and we always pay your USA shipping (that means FREE SHIPPING to any USA destination)! 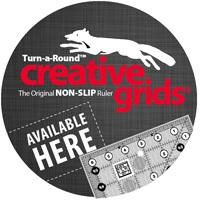 We're adding new product nearly every day, so check back often to make sure you haven't missed anything! NOTE: If you're looking for our gift certificates, we must apologize they are currently unavailable due to policy changes at PayPal (our credit card processor). We hope to be able to offer you these again very soon! In the meantime, if you're holding a gift certificate from ConnectTheBlocks.com, rest assured it's still valid (if you haven't yet used it) - simply select the item(s) you want and when you check out apply the gift certificate just as you would a promo code. To stay connected with what's new here, sign up to the left for our Newsletter. We'll notify you when new products come in, when we have a sale or special promotion, or whenever we have coupons for you to use. Your eMail address will be used only for the purposes mentioned here; we will never sell or share your information with anyone else. We promise not to overwhelm you with too-frequent eMails.